In my blog, I have wrote about a number of software Free & Paid, that can manage photographs for a variety of goals. 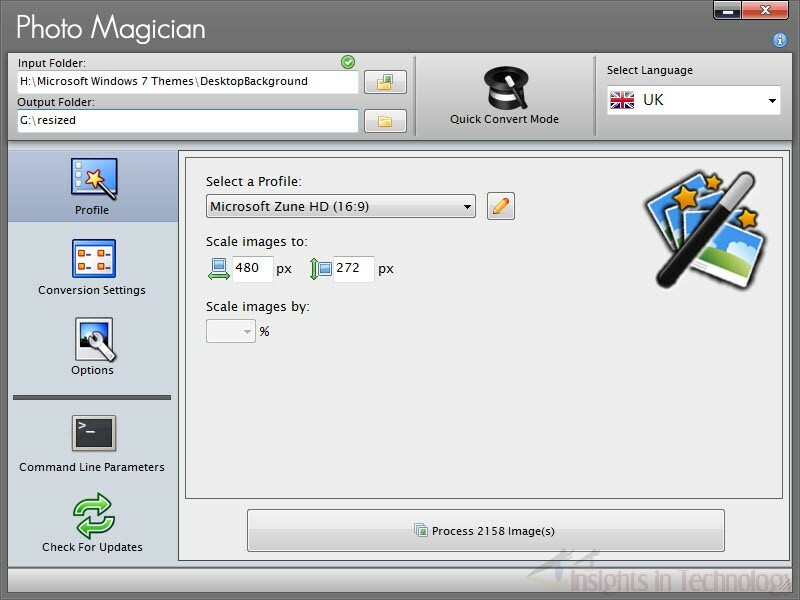 Photo Magician from Sheldon Solutions is just another software but it is mainly useful for its fast conversion and completeness in features. 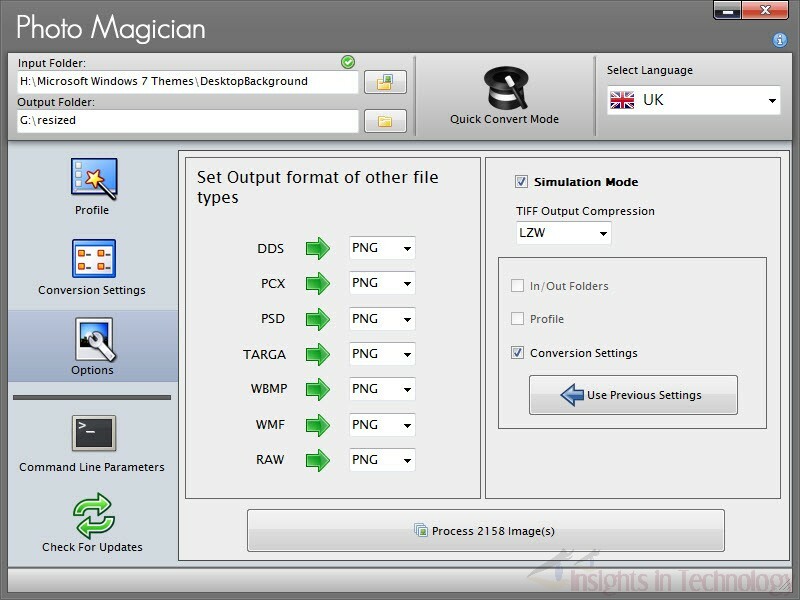 It can resize, apply effects, convert format etc of images in batch at a very fast speed after following wizard type steps. It offers emailing, uploading and sharing the output images via inbuilt tools. 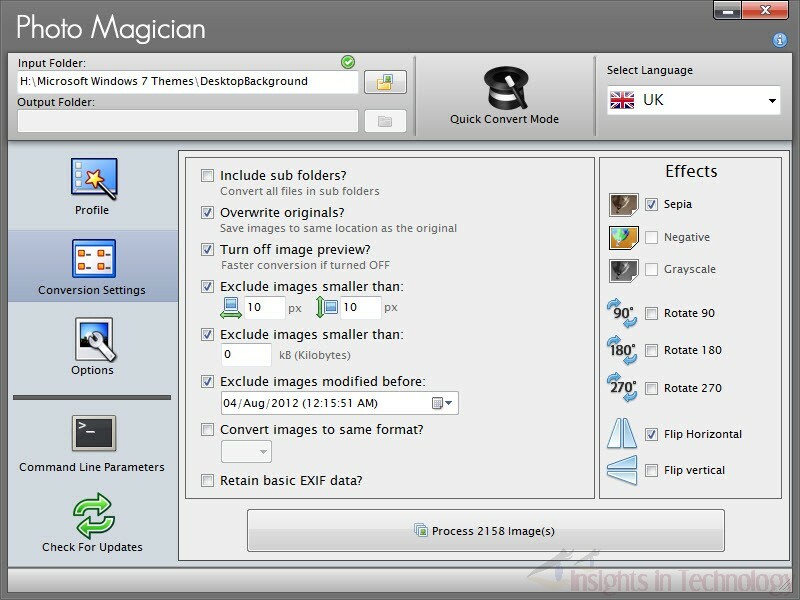 There is a Quick Convert Mode, that makes the software usage even easier. Overall the software is pretty amazing in what it does. I recommend this software to you. Try this out or you will miss something. The software is in version 2.3.3.0. It can be downloaded from the following link. The installer (2.15 Mb) is not digitally signed and has the following file hash. Nothing is mentioned in the webpage. But from my testing I find out the following. It requires7.4 Mb of free disk space. The software can run on any Windows XP to Windows 7, both 32 and 64 bit. Minimum .Net Framework 2 is required. It requires administrative Rights to run. The software uses little resources at idle time and moderately high resources during the conversion. Software installation is fast and creates a desktop icon by default. User will get an option to launch the application upon finishing the installation. The software is made in partnership with Open Candy, which is excursively mentioned in the Webpage and in the License Agreement during installation. Open Candy inspects users system and recommends to install a software which is not pre-checked. User may deny its installation and proceed towards installation. Note: ESET antimalware products detect the installer due to the presence of Open Candy in it. The software is multilingual, supports 17 languages. The software GUI is not resizable and do not minimizes to taskbar or tray, rather stays at the corner of the desktop. You need to double-click on it to restore the Window. The software offers manual & optional automatic update. Connection settings may be specified and hence update check is possible even under proxy with authentication. It also supports command line operation. The software do not offer any offline or online documentation. 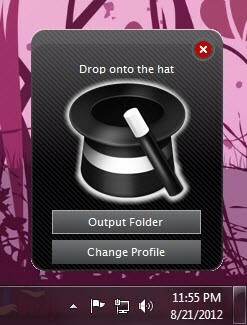 The software offers an wizard type conversion. Select the source & destination directory. Step 1: Here you will be offered to select a resizing profile. The software offers both custom profiles and preset profiles, total 25 types are supported. Step 2: Here you may specify some settings. Include subfolders of the source directory for images. Set the target output format for all images. It supports BMP, JPG, GIF, PNG and TIF formats. Overwrite original images if the target format is the same. If this option is choosen, the target folder will be grayed out. Exclude images of certain size, shape & modification date. Retain the basic EXIF data of the images. Apply Sepia, Negative & Grayscale effects. Rotate images to 90, 180 & 270 degrees. Turn off image preview for faster conversion. Step 3: Here you can set some additional options. Set output format of other file types (DDS, PCX, PSD, TARGA, WBMP, WMF, RAW). Set TIFF Output Compression to None & LZW. Please note that you may start the processing in any step if you are satisfied with the options. For example to resize a set of images, Step 1 is sufficient. The software can also operate in Quick Convert Mode. Here you need to specify the output settings and folder and you can drop any folder on the module to automate the conversion. The conversion process is very fast and gives reliable output. After finishing the conversion, you will get option to Email Images, Upload Via FTP and Share to Facebook. For all the jobs the software offers its own tool. A help file will be handy. It should minimize to taskbar. A portable version would be handy. Manual Creation of Portable Version: Copy the contents of the installation folder [e.g. C:Program Files (x86)Sheldon SolutionsPhoto Magician] to a folder except the two files unins000.dat & unins000.exe. Run PhotoMagician.exe anytime to launch the application. After clicking on the information button in the GUI, the information screen comes up, but unfortunthere is no option to close it. You need to click on the navigation button to the left side for closing that. Software uninstallation leaves Sheldon Solutions behind.